You may want to discuss with your students how climate factors -- precipitation, in this case -- affect the distribution of plant and animal species. This area only receives about 13 inches (33cm) of precipitation per year, too little to support a forest. 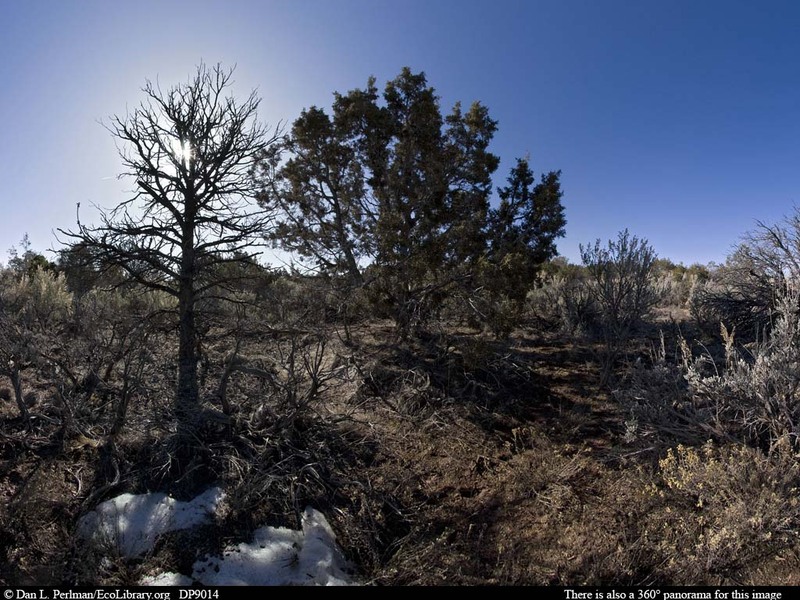 Instead, this scrub habitat is dominated by shrubby sagebrush and junipers, along with slightly taller pinyon pines (many of which have died in the recent past, as can be seen here).